If you’re anything like me you will be always on the hunt for some quick and easy weeknight meals to add to your repertoire. My Zucchini Pea and Ricotta Slice checks these boxes, plus more. 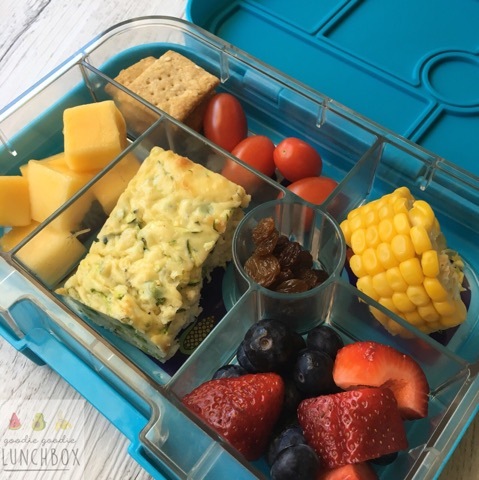 The leftovers (when there are any) are really great for lunchboxes. 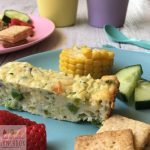 This slice is freezer friendly too so you can make this purely for lunchboxes, portion and freeze for when it is needed. I really love having non-sandwich options for lunches. And this Zucchini Pea and Ricotta slice is a great alternative. It packs a protein punch with the eggs and ricotta plus…veggies guys! It’s so much easier to get your recommended daily requirements of vegetables if you eat them throughout the day. Now I am going to give a little disclaimer on this. Mr 6 has not yet touched my Zucchini Pea and Ricotta Slice. Or even sniffed it. And certainly not tasted it. Mr 6 is going through a picky phase. It is tough going, but I will still keep offering it to him and hopefully he will decide to try it and then realise he likes it. But can I tell you guys that it is SOOOOO FRUSTRATING. Anyway, the rest of our family love it, and one of my friends tested this with her family and they loved it too. This Zucchini Pea and Ricotta Slice is really light but still substantial. And I love that you can eat it warm or at room temperature so it’s a great make ahead meal. It also cooks quickly too which makes it a great option for work night meals. Pre-heat your oven to 180c and grease and line a large rectangular (around 30cm x 20cm) ovenproof dish. 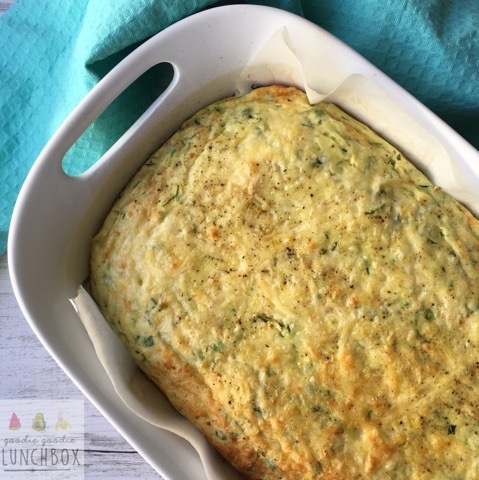 You can freeze this Zucchini Pea and Ricotta Slice for around 2-3 months which makes this perfect for lunchbox prep. Before freezing, portion into your desired sizes and separate with baking paper. When you wish to eat the slice, defrost the portion in the fridge overnight. Before eating, bring the slice to room temperature or you can reheat in the oven over a low temperature. So there you have it, a quick, delicious weeknight meal or a great alternative to sandwiches in the lunchbox. And hopefully Mr 6 will try this soon…but in the meantime, at least there’s more for me. Amazing. I will definitely be making this. Do you have to heat it up after defrosting, or could I just place a slice in my kids lunchboxes? Hi Jeri! You don’t need to re-heat the slice. It will defrost in the fridge overnight so get the slice out the night before then pop it in the lunchbox the next day. Thanks Bernadette! Love your honesty here. I often post things on the blog that I love but my picky eater won’t even look at!